Braces are common among children. 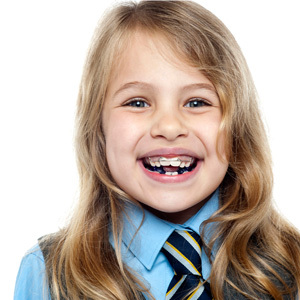 For this reason, the embarrassment factor is low when compared to adults, and therefore we often use traditional metal braces on children. Colorful bands are added, giving kids a new and fun way to express themselves! As a child moves into the teen years, however, he or she may request a more discreet treatment method such as Invisalign® or clear ceramic braces. We are here to make your child’s orthodontic experience as comfortable and successful as possible. Please give us a call for more information.